I share with you today a delicious, elegant, fast, and easy recipe that can be served in any occasion. The almonds give a nice nutty crunch to this salad. Who knew these two fruits could blend wonderfully together! Enjoy! 1. 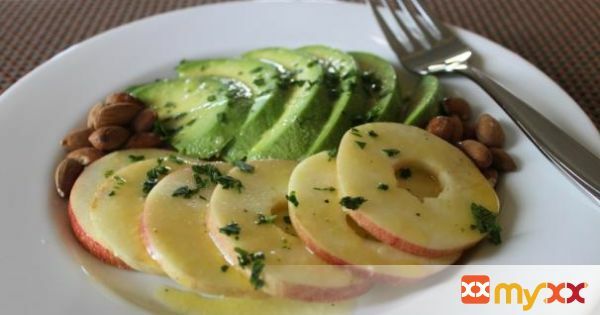 Assemble the sliced apples, avocado, and toasted almonds however you like on your serving platter. 2. Whisk together the lime juice, mustard, and extra virgin olive oil then season with salt and pepper. 3. Spoon the dressing on your salad. 4. Then sprinkle the parsley on top. That’s it!